China in Africa: The Real Story: Australia and China: What Can Africa Learn? Australia and China: What Can Africa Learn? What can Africans learn from the Australian approach to China? A lot, I imagine. A hat tip to PKU African Studies Program. This may be off topic, but Kenya recently launched its Open Data Initiative website. It aims to provide the public with information on Government activities. Similarly, Nigeria signed the Freedom of Information (FOI) act into law a few months ago. So any researcher requiring information on Chinese transactions with the Nigerian government should (theoretically) be able to obtain it. (I don't know whether it is limited to Nigerian citizens). 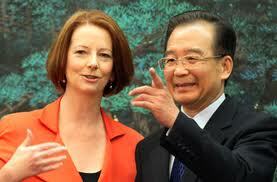 The Chinese / Australian trade relations are handled properly by the Australian Government but are still sensitive. 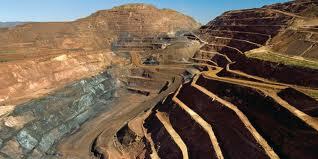 Mr. Michelmore, senior manager of Minmetals, argues that it is "business as usual" for a Chinese SOE. The title was "Australia and China: What can Africa learn?" And the final conclusion: "What can Africans learn from the Australian approach to China? A lot, I imagine. " Possibly someone can help me, but it beats me what you can conclude from this information? The initial question of the article remains unanswered: what lessons can be learned by Africans from the Chinese/Australian trade relations? Incidentally, the exchange rate of the AUD is at its highest since it was allowed to float in 1983 and has increased by 75% against the USD since the financial crisis. This fixing happened no longer in Australia but in Beijing. Do Australians feel comfortable with this situation?